Shea's Buffalo was one of the most elaborate theatres produced and is regarded as one of the finest intact movie palaces in the country. Designed by Chicago architects C.W. and George Rapp, it has Italian marble walls and Czechoslovakian crystal chandeliers. Initial preliminary designs were rendered by world renowned designer/artist Louis Comfort Tiffany of which only a few key design elements would appear when actually built. 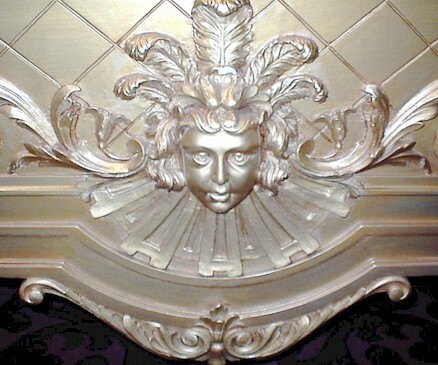 Its architectural style is French Renaissance in the Louis XIV style with American adaptation. 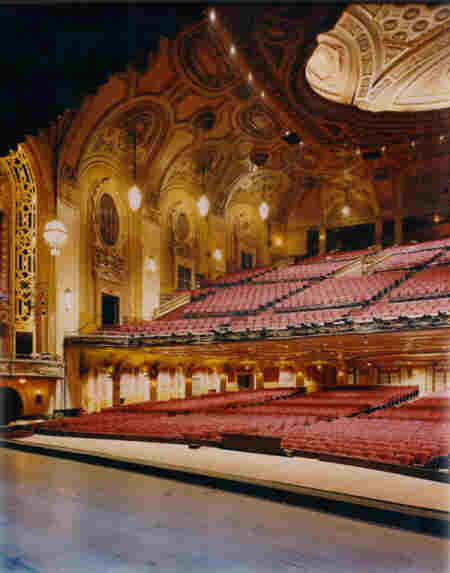 Opened on January 16, 1926, the theatre was built in one year at a cost of nearly $2 million. The entrance rises to an impressive 100 ft., and the lobby is 80 x 30 ft. with a foyer which is 22 x 90 ft.. Inside the auditorium, the ceiling dome measures 56 x 70 ft. and is 89 ft. above the orchestra floor; which is suspended from the roof another 15 ft. above. The original seating of 4,000 has been reconfigured to the current 3,150. Elevators were provided for both a 50-piece orchestra and the organ console. The proscenium arch rises 50ft. and is 100 ft. wide. Originally only 28 ft. deep with 50 lines, the stage dimensions have now doubled following a renovation of the stage house by Kideney Architects in 1998-1999. Ongoing restoration continues on the auditorium and lobby areas under the direction of restoration consultant Doris Collins of Erie, PA. The Shea's Buffalo Wurlitzer is one of the largest and finest in the country and reflects a close relationship that Michael Shea had with Farny Wurlitzer. It is known that the Buffalo was greatly influenced by Michael Shea's visit to the Uptown Theatre in Chicago when it was first built. Shea, upon hearing the Uptown Wurlitzer, is said to have told Farny that he wanted the same organ - with lots of strings. The Buffalo organ did, in fact turn out to be an identical sister to the Uptown organ. Not only were the ranks the same, the original chest layouts were also identical. While both were called "Style 285 specials" they were quite different from the normal 285 in that neither had an Echo division. The organ contains three Tibias, seven ranks of strings and ten ranks extended to 16' pitch. 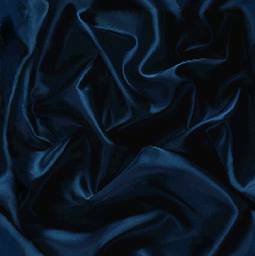 The Solo Vox Humana is of unusually large scale with doomed tops and is voiced on 10"wind. Many of the traps and effects were either large scale or very unusual. The bass drum is so large it wouldn't pass through the chamber door. In addition to the usual snare drum, a larger field drum was included as a second drum. Also included are a real swinging locomotive bell, a 12 note set of "tuned tympani," and a Wurlitzer grand piano which replaces the original pressure operated upright which had deteriorated beyond repair. The organ had been tonally finished in the theatre by Wurlitzer's head voicers James Nuttall and Joseph Carruthers and because of the proximity to the Wurlitzer factory 20 miles north, became a show piece for perspective customers. After its restoration, which lasted from approx. 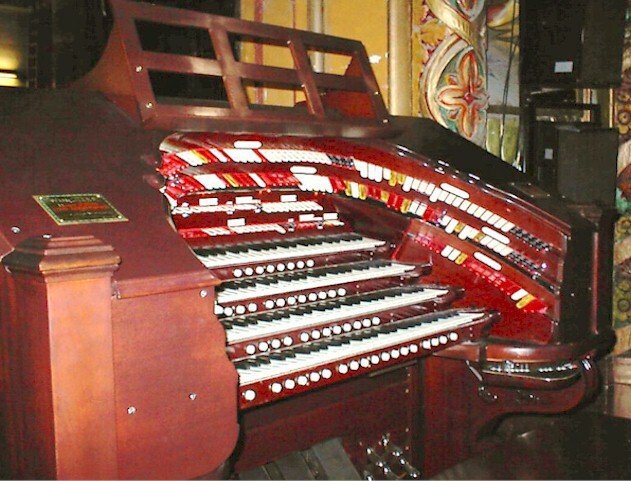 1975-1984, under the direction of organ consultant Allen Miller, the organ continues to be used occasionally in concerts and before film series events. 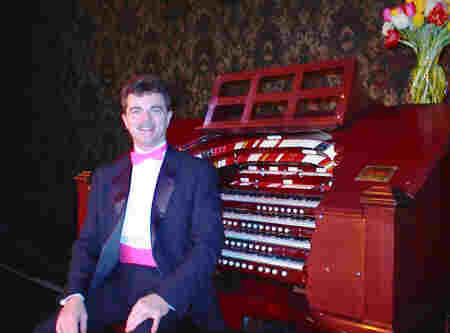 In spring of 1999, the organ was cleaned (including reed restoration) by Paul Staley (Niagara Organ Works) under the direction of Allen Miller. The solid state combination action was over hauled and checked by Neil Shaw of Ontario, Canada. The console was also refinished by Illos Piano Rebuilders of Buffalo, NY during the 1998-1999 stage house expansion project. Concerts are presented in series by the Buffalo Area Chapter - American Theatre Organ Society in a joint venture with Shea's Buffalo. Clark Wilson unveiled the refinished console at a concert on April 30, 2000.